Showcase of our awesomely fun obstacles! 30 feet long timber beams fixed at both ends. 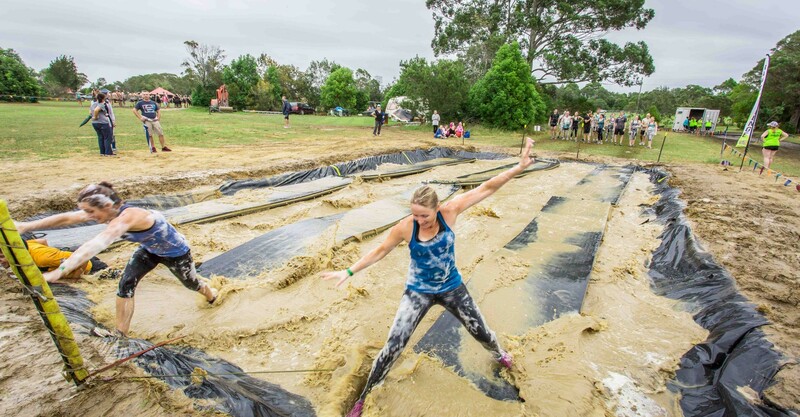 Participants need to use inner balance to keep themselves from falling into the mud and water pits below. 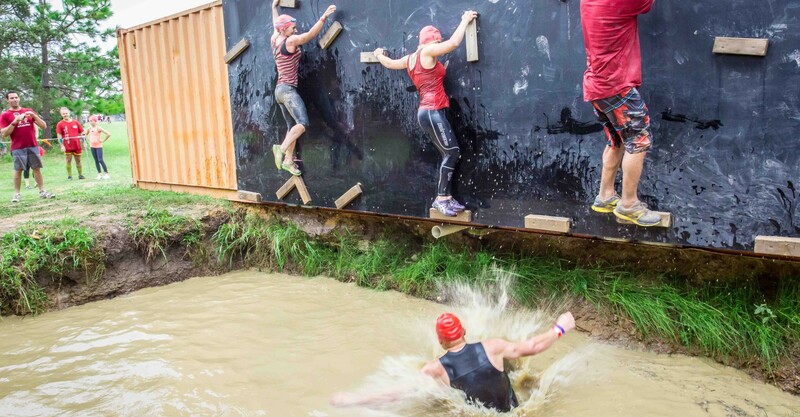 Get your legs pumping, as running on water is really possible! Our excavation team takes pride in creating huge areas of mud pits. These can be a few metres in areas or up to 50 metres. Training for Balance requires good core strength and firm legs. Sit ups for your stomach core and Squats with a barbell to build up your leg balance. For more advanced exercises you can do one leg squats and weighted walking lunges. Sled training can be one of the best ways to build up incredibly explosive strength and balance. 45 Degree angled wall that you will need to pull yourself up with only the use of a rope. Upper body strength is essential on this bad boy! Take a run up, position your last step carefully as you leap for either the tip of the quarter pipe or a participants hand to help pull you up and over this beast. 15 feet tall timber walls with a blade at the top. 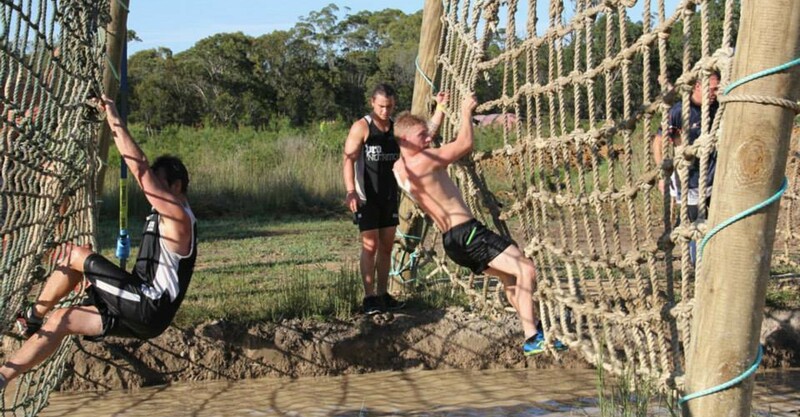 Participants need to use upper body strength to pull themselves over the wall whilst stablising themselves with their feet. A variation of the great walls with the walls this time angled towards your running approach. Which places more emphasis on your jump approach and body strength. This wall is better executed for most with assistance from another team member or fellow participant. A variety of height walls from 1.8m upwards until the giant 3m walls. You will need to jump up and grab the top of the walls, begin pulling yourself up, scissor kicking your legs over before climbing back down on the other side. A frame cargo net 16 feet high that participants climb up and over. The slight flex in the net means your using lower body, core and upper body strength to get through this one. 9-foot wall of tyres which will require leg, core and upper body strength to get you over. A three storey high angled rock climbing wall not for the faint hearted. If you get to the top, take a minute and enjoy the amazing view. Training for most of the climbing obstacles will generally require upper body strength. It is sometimes too easy to give up and say ‘I can’t’. So even exercise you think you can’t do, we can slightly vary them. For example pull ups are very tough. If you cannot do them simply step on a box lift take your weight and lower yourself down doing the negative motion. This will build up the relevant muscles. We would also incorporate tricep dips as the tricep makes up 2/3 of your arm. Crawling through 4 metre black tunnels! Scared of tight spaces? 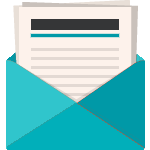 Well this is probably not for you. Crawling through mud and water on your back with a cage over the top. Preparing yourself for our crawling obstacles will require full body core strength. We highly recommend Plank Holds (with elbows touching the floor and feet together) you can also do spider crawls where you always have a least one foot and one hand on the ground with the back no more than 40 centimetres off the ground, crawling from back and forth across the room. 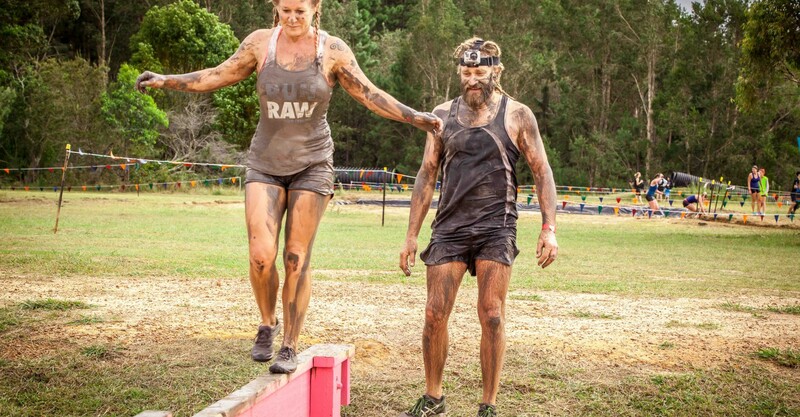 30 feet of metal rungs to carry yourself across using only upper body and core strength to keep yourself from falling into the mud and water pits below. What stands between you and the other side is a large water pit and a lot of swinging rings that you will need to hold onto and swing your way across. 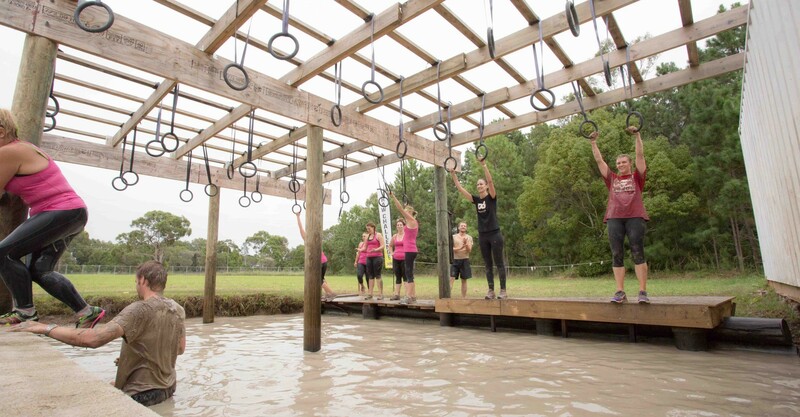 Upper body, core and grip strength will be vital if you want to conquer this one. Swinging nets vertically hanging over a pit of water, which will test your core as well as lower and upper body brute strength. Hanging Training for most of the Hanging obstacles will be similar to your climbing obstacles and generally require more upper body strength. 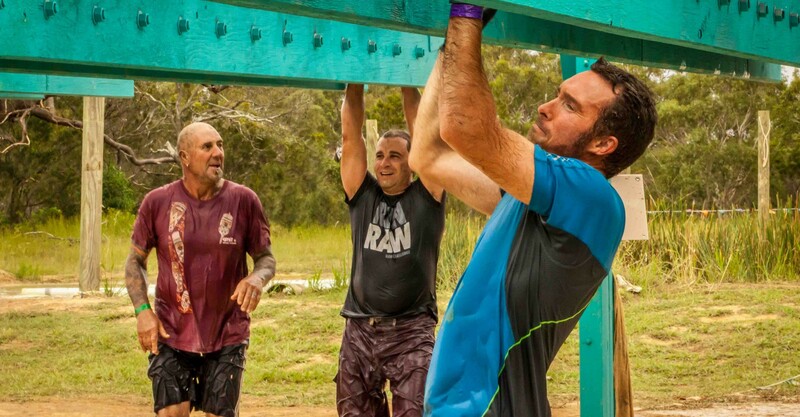 Monkey bars have got to be one of the hardest obstacles at these types of events particularly the variations at Raw Challenge. Sure, you can always give it a try and fall into the water, but wouldn’t it be great to get the whole way! Apart from the obvious Bicep strength surprisingly monkey bars and hanging obstacles will require a lot of back muscles. That is why it is essential to incorporate lat pull downs, seated rows, t bar rows and deadlifts into your workout. It is best to speak with your gym instructor or trainer to learn these motions safely. Remember: Most injuries in the gym are either people trying to lift too heavy or using the wrong form. 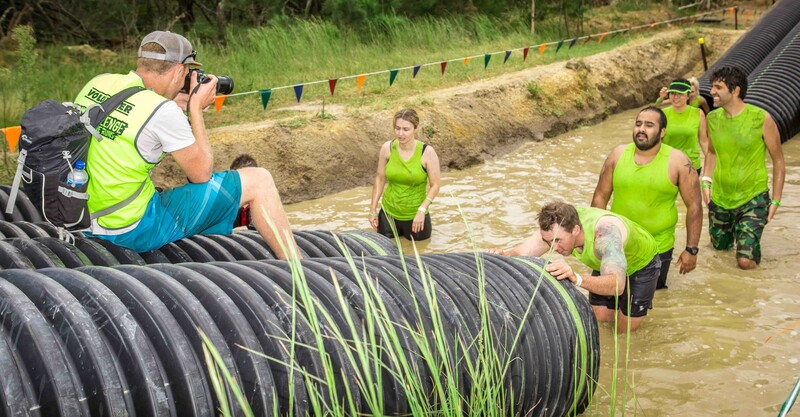 Tackle these obstacles at an event near you.